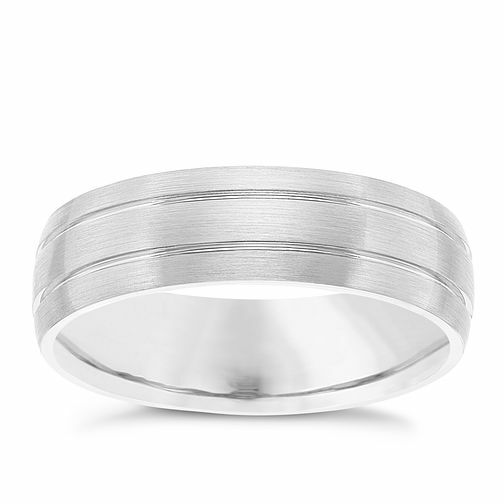 Styled with a chic matt finish, this elegant palladium band is finished with two polished grooves. The 950 hallmark indicates the 95% purity of the naturally white, tarnish resistant and hypoallergenic metal. A sophisticated wedding ring choice for the modern man.